Martin Luther King Jr. once called the time of worship on Sunday mornings "the most segregated hour of the week." Over this last year we have worshiped with congregations with great diversity in race and ethnicity, but we've also been places that were quite monochrome. Sometimes that's okay. If a church is in a small town populated by people of one ethnicity or race, for instance, it would be silly to complain. If I were visiting an underground church in Mainline China I would not say, "How outrageous that I'm the only Caucasian here!" But in other times and places, that lack of diversity is a sad thing -- as it is in in the United States of King's era and before, particularly in the South. Places in the Heart is set in Waxahachie, Texas, in 1935, during the era of Jim Crow. 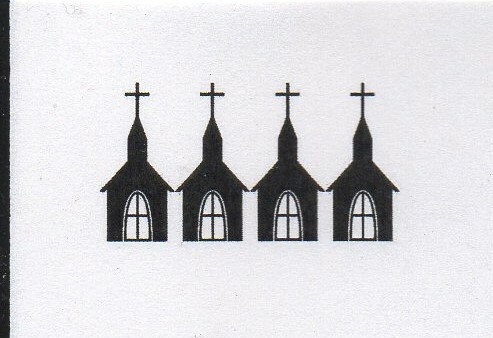 Segregation was the law of the land, and it carried on to churches as well. The film tells the story of a woman whose husband, a sheriff, is killed by a young, drunk, black man. 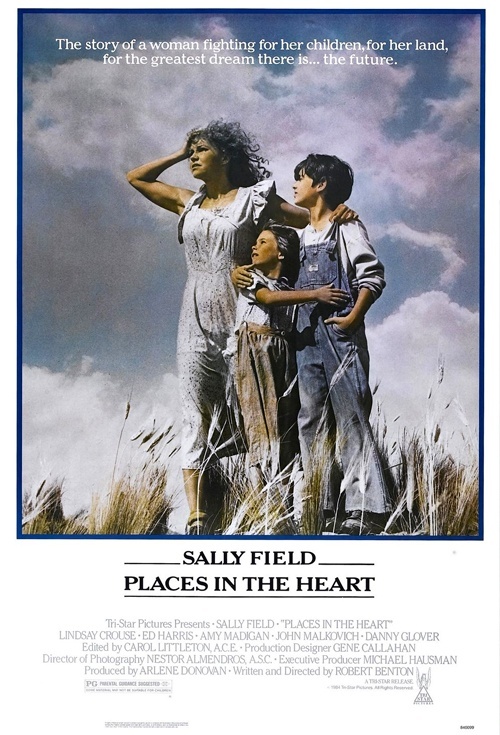 The woman, Edna Spalding (an Oscar winning performance by Sally Field), must find a way to support herself and her two children. Edna must face the perils of the Great Depression, alone. Where is the church? The film opens with images of churches. As "Blessed Assurance" plays over the opening credits, we see a lovely white church as white people file out to their cars and drive home for Sunday dinner, and we see another more dilapidated white church as black people file out to walk home for their Sunday dinners. We see families praying over their meals. The images illustrate the words of King quite clearly. 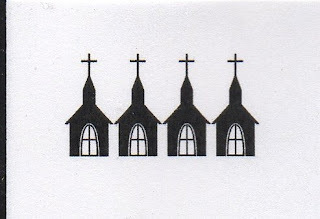 The next time we see the churches represented is at Edna's husband funeral and at the funeral of the man who killed him. The young black man accidently shot the sheriff and was immediately lynched by the white people in town who know there will be no consequences for their actions. Both funerals are graveside services with a clergyman conducting the ceremony. There are no blacks at the funeral of the sheriff and no whites at the service of the young black man. At one we hear the crowd singing "In the Sweet By and By," and at the other we hear the clergyman intoning "dust to dust." But we never see another time when the church or a clergyman provides support for Edna as she faces foreclosure on her home and farm. But a begging black man, Moze (Danny Glover), gives her direction and support to plant and grow a cotton crop that saves her property. We do see the Church providing a vital service for the community. When a twister strikes, it's church bells that warn the community. We do see another church at the end of the film. We see the outside of a white church and hear people again singing "Blessed Assurance." The pastor, an old white fellow, reads from "'the love passage," I Corinthians 13: 1 - 8. The camera slowly pans the congregation. We see a husband who was unfaithful sitting next to his wife and daughter, holding hands tenderly. Communion is served, and as the bread and cup are passed the camera pans the pews. As the congregation sings, "I Come to the Garden" we see people we don't expect to see. Moze, a black man, is sitting in a white congregation in the Deep South of the thirties. An even more unusual sight: we see Edna's husband, alive, passing the peace to the young, living black man who shot him dead. A vision of heaven. Though the earthly church of the film would receive fewer steeples, we're giving that final heavenly image of the Church 4 Steeples.